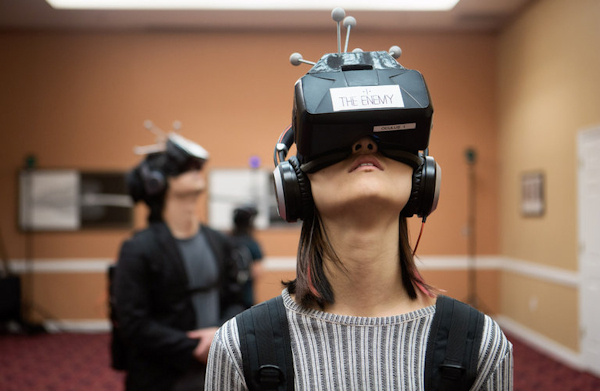 What is virtuality? How do we experience it? What is its relation to perception and imagination? What is its status with regard to the real and irreal, actual and possible, present and absent? Can we give a phenomenological account of virtuality? Finally, how are present-day virtual technologies changing not only our daily lives, but perhaps even the ways we think and behave? It is such questions that this two-day international conference on Phenomenology and Virtuality seeks to address. This call for abstracts is therefore interested in any work that seeks to give a phenomenological account of virtuality, and/or apply a phenomenological account to a contemporary issue or technology (e.g. virtual technologies such as social media and online gaming). Indeed, particular attention will be paid to abstracts that try to situate a concept of virtuality within the works of classical phenomenologists (viz. Husserl to Merleau-Ponty), as well as those that seek to contrast a phenomenological concept of virtuality with another theory, or apply such a concept to a contemporary issue or technology. Phenomenological accounts that also result in normative claims––i.e. 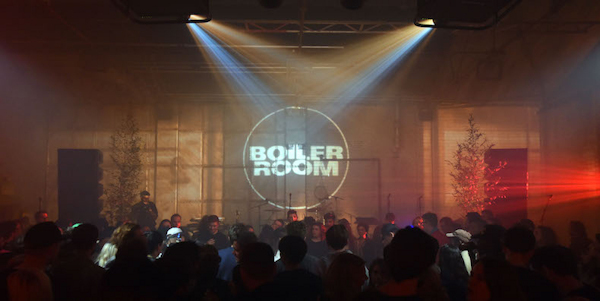 the possible benefits and dangers of rising virtual technologies––would also be welcome. Welcome to the 19th International Conference on Human-Computer Interaction. HCI International 2017, jointly with the affiliated Conferences, held under one management and one registration, will take place at Vancouver Convention Centre in Vancouver, Canada, under the auspices of 15 distinguished international boards. HCII2017 invite you to participate and contribute to the international forum for the dissemination and exchange of up-to-date scientific information on theoretical, generic and applied areas of HCI, through the following modes of communication: Plenary / Keynote Presentation, Parallel Sessions, Poster Sessions, Tutorials and Exhibition. The Conference will start with three days of Tutorials (9-11 July). Parallel Sessions, Poster Sessions and the Exhibition will be held during the last three days (12-14 July) of the Conference. CAMBRIDGE, Mass. — Sitting in a conference room at a hotel near the Massachusetts Institute of Technology here, I slip on large headphones and an Oculus Rift virtual reality headset and wriggle into the straps of a backpack, weighed down with a computer and a battery. It feels as if I were getting ready for a spacewalk or a deep-sea dive. But when I stand, I quickly find myself in a featureless all-white room, a kind of Platonic vestibule. On the walls at either end are striking poster-size black-and-white portraits taken by the noted Belgian-Tunisian photographer Karim Ben Khelifa, one showing a young Israeli soldier and another a Palestinian fighter about the same age, whose face is almost completely hidden by a black hood. Then the portraits disappear, replaced by doors, which open. In walk the two combatants — Abu Khaled, a fighter for the Popular Front for the Liberation of Palestine, and Gilad Peled, an Israeli soldier — seeming, except for a little pixelation and rigid body movement, like flesh-and-blood people who are actually in the room with me. The School of Computer Science at the University of Lincoln invites applications for three positions at Lecturer/Senior Lecturer/Reader grade in HCI/Games Computing. These appointments are parts of a strategic plan to strengthen research and delivery in interaction design, user studies and interactive technologies and to strengthen our well established team of Games academics. Successful candidates will have the opportunity to contribute to shaping an enthusiastic and stimulating research environment which values inclusion, diversity, and interdisciplinary. 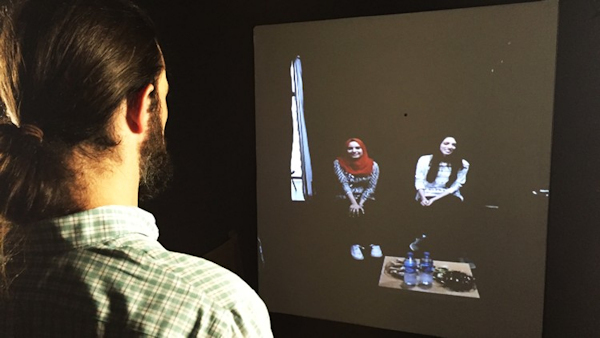 The installation allows visitors to communicate with people in far-flung cities through November. My two new college-aged friends — at least I think we’re friends, we just met — love to hang out with their friends, shop and hit the beach when it’s not too crowded. One of them loves horror movies, the other is really into action films. They’ve both gearing up for exams coming up in their studies of English and French literature. The only thing unusual about these students, really, is that they live in Gaza. I met them inside a golden shipping container parked on the St. Edward’s University campus in Austin and our 20-minute introductory chat was via videoconference. While Skype, Facebook Messenger, Apple’s FaceTime, Snapchat and many other apps allow this kind of thing via any online mobile device, this experience was a little different. The ICELW 2017 Call for Proposals is below. To submit a proposal, please follow the instructions on our ICELW 2017 Submissions Page. Please note that accepted ICELW papers are eligible for potential journal publication in the International Journal of Advanced Corporate Learning (iJAC). iJAC publishes a special ICELW-themed issue each year. WHO SHOULD PRESENT OR PARTICIPATE? Anyone with a background in online learning in the workplace from any perspective, including researchers; consultants; and corporate trainers, managers, and directors. ICELW looks for proposals in a variety of engaging formats, with a strong focus on demonstrations, case studies, panel discussions, and debates, as well as traditional presentations. Innovative and nontraditional suggestions are very welcome! Could this be any more disturbing? A dozen years after they went off the air, the cast of Friends has been virtually reunited for a project that turned one of them into a video chatbot. As spotted by Prosthetic Knowledge, researchers at the University of Leeds used machine learning to create automated video avatars that speak in the voices of their characters. The result is a system that uses the original performances recorded by the actors to generate brief new scenes, starting with Matt LeBlanc’s immortal Joey Tribbiani. The system was demonstrated this weekend at a European Conference on Computer Vision workshop. 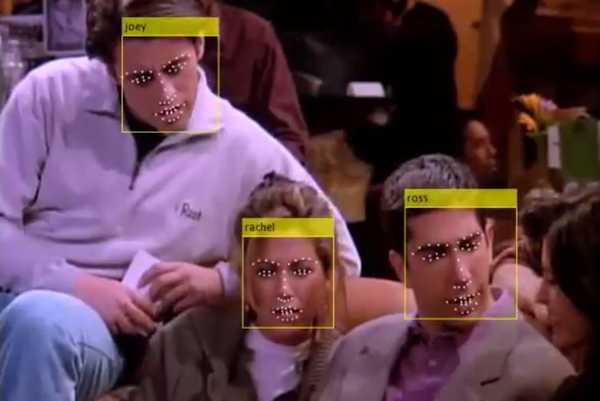 Researchers James Charles, Derek Magee, and David Hogg offered a proof of concept for what they call “a generative computational model of a person’s motion, appearance, speech, language and their style of interaction and behavior.” After deconstructing all 236 episodes of Friends using software, they created language models that were able to build new sentences and speech for Joey. They then matched his new speech with corresponding mouth positions, which they digitally pasted over the mouth position from LeBlanc’s original performance. The design and adaptation of Cognitive Architectures (CA) is a wide and active area of research in Cognitive Science, Artificial Intelligence and, more recently, in the areas of Computational Neuroscience, Cognitive Robotics, and Computational Cognitive Systems. Cognitive architectures have been historically introduced i) to capture, at the computational level, the invariant mechanisms of human cognition, including those underlying the functions of reasoning, control, learning, memory, adaptivity, perception and action, ii) to form the basis for the development of cognitive capabilities through ontogeny over extended periods of time, and iii) to reach human level intelligence, also called AGI (Artificial General Intelligence), by means of the realisation of artificial artefacts built upon them. During the last decades many cognitive architectures have been realised, and agents based on such infrastructures, have been widely tested in several cognitive tasks involving reasoning, learning, perception, action execution, selective attention, recognition etc. This special issue is intended to provide an overview of the research being carried out in the interdisciplinary area of cognitively inspired AI systems designed and integrated with existing or novel CA. Both papers presenting theoretical and applied research contribution in the field are welcome. In particular the interests of this issue are focused (but not limited to) on papers addressing the following problems: i) how different cognitive functions can be successfully integrated in general cognitive artificial agents ii) how novel integrative approaches differ and improve previous perspectives adopted in cognitive architectures iii) how the integration of cognitive architectures with external cognitive systems (e.g. specialised in specific tasks such as natural language understanding; planning, multimodal perception etc.) can improve the local performance of cognitive agents while respecting the architectural requirements of general intelligence. 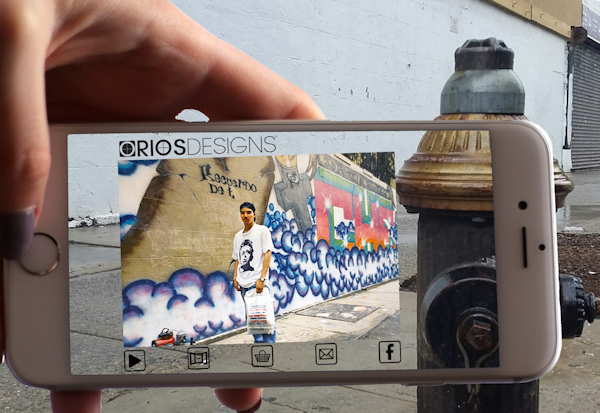 Culture and history are vital, though often invisible, parts of any community, but the Mi Querido Barrio (My Beloved Community) augmented reality tour, presented by New York City’s Caribbean Cultural Center African Diaspora Institute (CCCADI), showcases the many different ways AR can make visible the unseen. The digital art project is part of the Home, Memory and Future exhibition celebrating the Caribbean Cultural Center’s grand reopening in its new East Harlem location. Using the AR app Blippar, anyone with a smartphone and a guide to the tour’s location markers can point their phone at landmarks across the rapidly-gentrifying neighborhood and unlock augments—artworks, photographs, and interactive features—that bring the past to life. A marker in front of a 7 Eleven, for example, reveals that it was the original location of Justo Botánica, a famous and long-standing spiritual emporium that was given just 30 days to vacate the building along with five other small businesses. Oliver Rios, one of several artists who participated in Mi Querido Barrio, grew up in the historically Latinx area, often affectionately called El Barrio, and still lives there. He remembers when it was a place rich in culture though economically poor, circumstances that are reversing as high rises replace brownstones. The 44-year-old graphic artist spent his youth doing graffiti and painting anti-drug and anti-violence murals and memorials. In some cases, the buildings he painted simply aren’t there anymore.